Background: To date, few series on robot-assisted radical prostatectomy (RARP) in kidney transplant recipients (KTRs) have been published. Purpose: To report the experience of two referral centers adopting two different RARP approaches in KTRs. 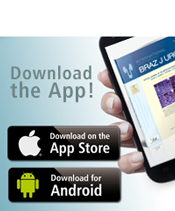 Surgical, oncological and functional results were primary outcomes evaluated in the study. 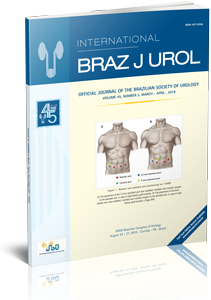 Material and methods: We retrospectively analyzed data from 9 KTRs who underwent transperitoneal RARP or Retzius-sparing RARP for PCa from October 2012 to April 2016. Data were reported as median and interquartile range (IQR). Pre- and postoperative outcomes were compared by non-parametric Wilcoxon signed-rank test. Significant differences were accepted when p ≤ 0.05. Overall survival was assessed using Kaplan-Meier method. Results: Four KTRs underwent a T-RARP and 5 a RS-RARP. Patient median age was 60 (56-63) years. Charlson comorbidity index was 6 (5-6). Preoperative median PSA was 5.6 (5-15) ng / mL. Preoperative Gleason score (GS) was 6 in 5 patients, 7 (3 + 4) in 3, and 8 (4 + 4) in one. Pre- and postoperative creatinine were 1.17 (1.1; 1.4) and 1.3 (1.07; 1.57) mg / dL (p = 0.237), while eGFR was 66 (60-82) and 62 (54-81) mL / min / 1.73m2 (p = 0.553), respectively. One (11.1%) Clavien-Dindo grade II complication occurred. Two extended template lymphadenectomies were performed, both with nodal invasion. These two patients experienced a biochemical recurrence and were subjected to RT. Two patients (22.2%) had PSMs. Median follow-up was 42 months. Seven patients (77.8%) were continent, 5 (55.6%) were potent. Two (22.2%) patients died during follow-up for oncologic unrelated causes. Conclusions: Our series suggests that both RARP approaches are safe and feasible techniques in KTRs for PCa.